When your Chrysler needs auto repair, leave it to the experts at Mancinelli’s Auto Repair Center in Downtown Denver. 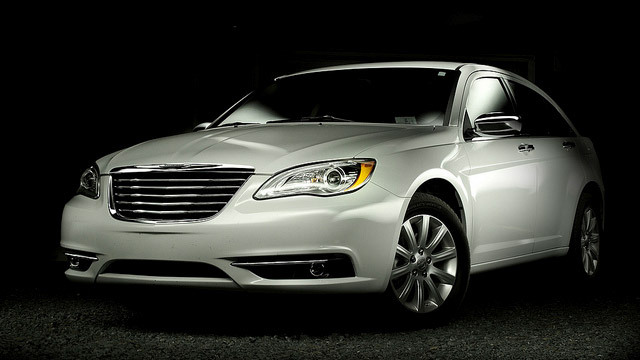 Our team of ASE-Certified Master auto mechanics have experience servicing virtually all models of Chrysler vehicles. It is our goal to keep your Chrysler performing in pristine condition for the long-term, which means we will service your vehicle with only the finest parts, tools, and technology. At Mancinelli’s Auto Repair Center in Downtown Denver, we realize the automotive industry is continuously changing. From self-driving cars to something within our grasp, such as hybrid cars, there is always something for our technicians to be learning and understanding. When it comes to training, our team of auto mechanics agrees to attend a minimum of 60 hours a year, and the rest of our team agrees to a minimum of 20 hours a year. This way, we can service whatever rolls into our auto repair shop, including newer models of Chrysler vehicles. “Don't waste your time taking your car to another shop, these guy are super honest and go beyond to inform you about repairs or potential future repairs on your car. I have tried out many shops around Denver and wish I found these guys years earlier. Steve and his crew are knowledgeable and their free shuttle service is clutch. Seriously, don't waste your time taking you car someplace else.” -- Jim D.
When you arrive at our auto repair shop in Downtown Denver for Chrysler service, our auto mechanics will perform a digital inspection, searching for any sign, big or small, of trouble. And when you leave, we will send you off with a safe and reliable vehicle, popcorn, emery boards, post-it notes, and chapstick. With Mancinelli’s Auto Repair Center, it is all about the little things. Please call us, schedule an appointment, or visit us. We’re located at 375 Logan Street, Denver, CO 80203, and are open Monday through Friday, from 7:00 a.m. - 5:00 p.m.